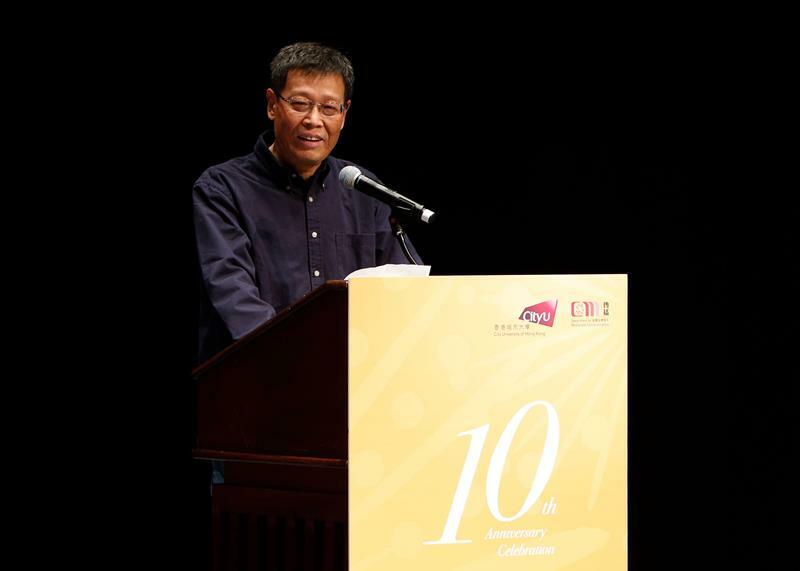 “In ten years, we have grown from a newly established department in 2008 to an academic unit well blended to the world scholarly community.” said Professor Li Xigen, Head of Department of Media and Communication (COM), City University of Hong Kong, at its 10th anniversary celebration on November 3, 2018. 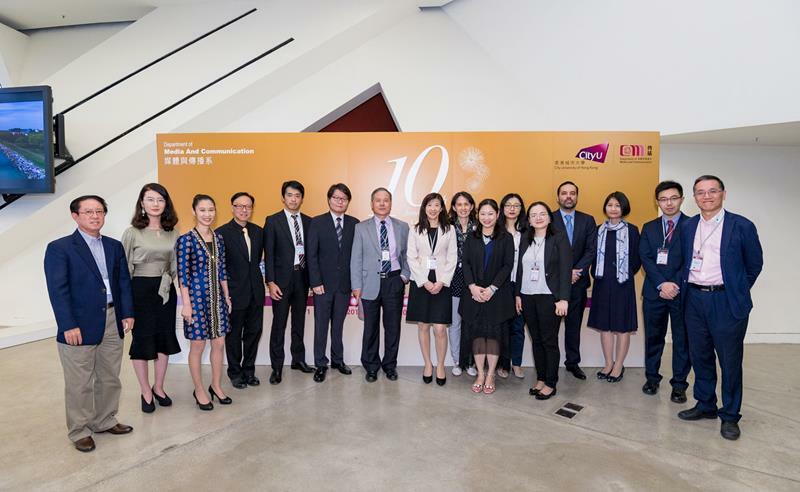 A total of 170 guests from all over the world attended the celebration ceremony at the Run Run Shaw Creative Media Center in Hong Kong. 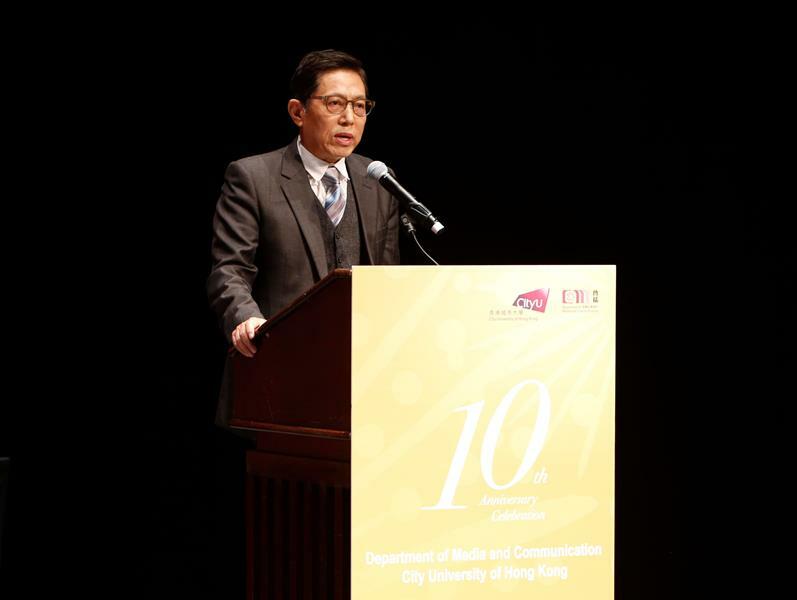 As the university leader who have witnessed the growth the Department of Media and Communication, President Kuo Way stated that his numerous visits to the Department of Media and Communication had given him a great deal of insight over the years into the research excellence of the faculty and the learning achievements of the students. 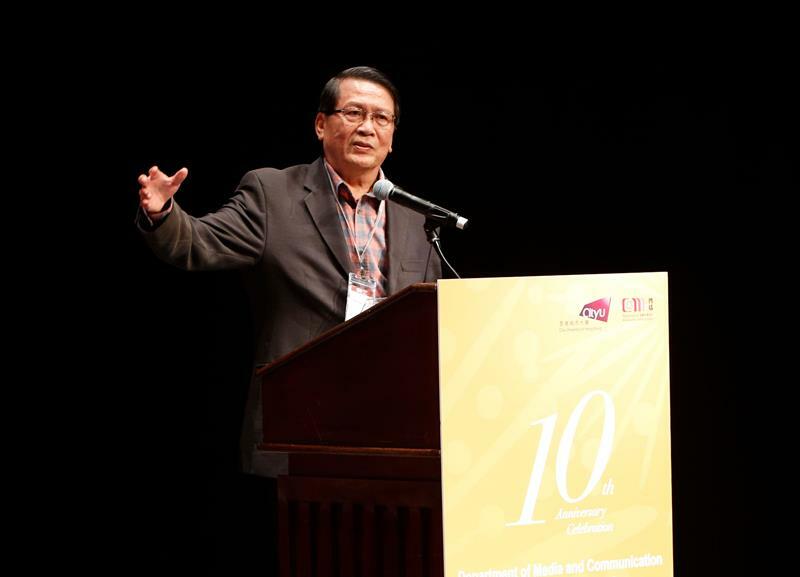 He noticed that many COM graduates are industry leaders, working as TV anchors and reporters or can be found behind the scenes as producers and managers at new media companies. Many alumni attending this 10th anniversary celebration are representative of those leaders. 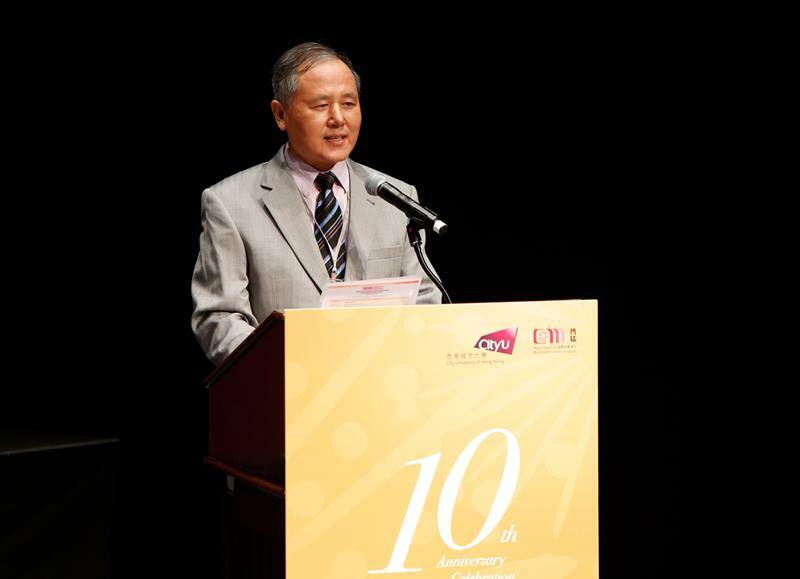 In his congratulatory speech, Professor Zang Xiaowei, Dean of College of Liberal Arts and Social Sciences expressed his confidence that COM will continue to play a significant role in research, and contribute to the teaching innovation in media and communication in Hong Kong, China and beyond. COM’s faculty is an international team, and has been working hard to achieve teaching and research excellence in the last decade. The faculty members publish in top tier academic journals, play leading roles in academic activities worldwide, and exert remarkable influence on academic communities with their contributions, services and scholarly work of the highest quality. The 2014 Hong Kong Research Assessment Exercise affirmed the department’s excellence in world-class research and its leading position in the discipline of media and communication in Hong Kong. COM’s accomplishment in communication and media studies was further recognized by QS World University Rankings as the department was ranked No. 27 in the subject in the world in two consecutive years in 2017 and 2018. 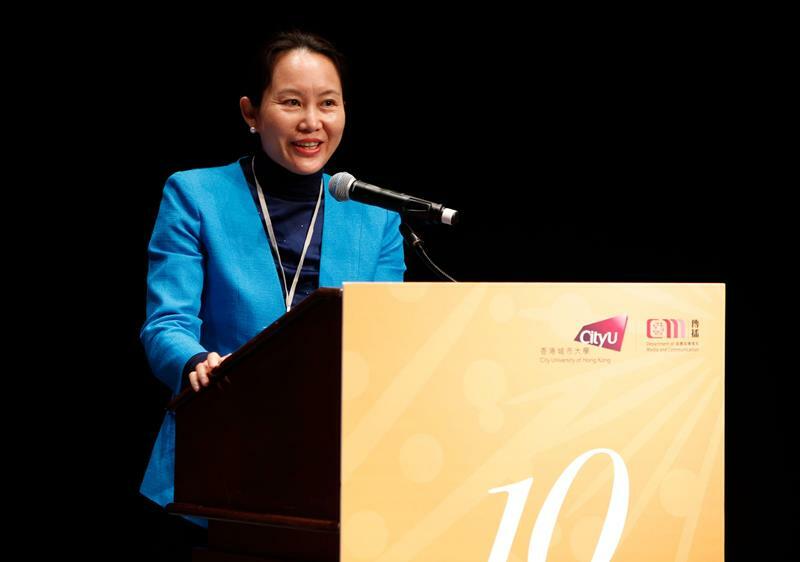 Representative from the universities and the media industry in the United States, Mainland China, and Hong Kong looked back upon how they worked with COM and had made significant achievements through collaborations in teaching and research. The anniversary celebration was emblazed by the presentation of the distinguished alumni award. COM’s undergraduate and Master’s graduates have demonstrated their distinction through their roles as industry leaders in different sectors; The PhD graduates have staged as rising stars in teaching and research when they work as faculty members in local, mainland China and overseas universities. 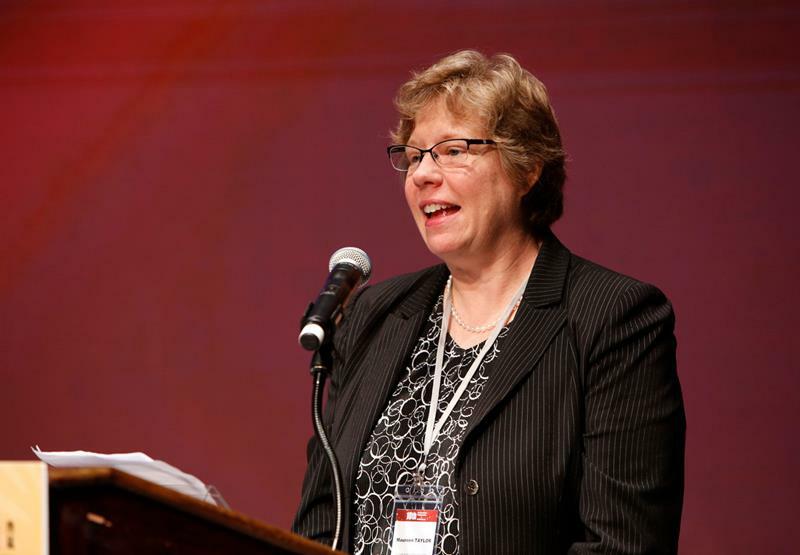 A total of 30 graduates received distinguished alumni awards, recognizing their outstanding professional achievements. Following the celebration ceremony, a forum with the theme of Journalism and Communication in the Age of Big Data was held. 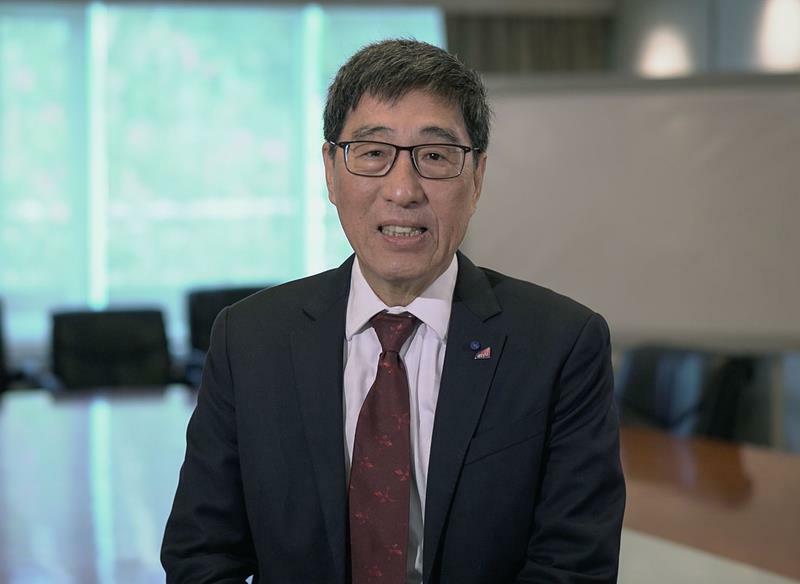 Eight professors from leading universities in Asia and Europe gave speeches on a variety of topics, covering big data, digital journalism, and communication education. A series of events was held to celebrate the milestone of the 10th Anniversary. With the conference themed “Towards New Frameworks of Media and Communication Studies: Beyond the West,” world renounced scholars discussed key issues in Computational Communication Research, Communication Studies in Asian-Pacific Perspectives, Impact of New Media on Communication and Society, and Political Communication in Cross-National Context. In addition, the Department held an exhibition on the achievements of students and alumni at the Run Run Shaw Creative Media Center from October 30 to November 4, 2018.